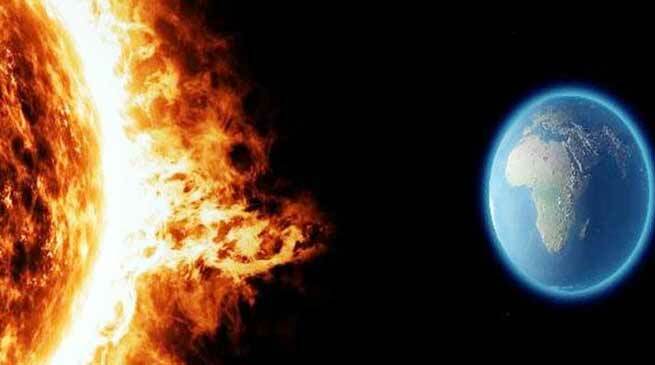 A Solar Storm can hit the Earth in the next 48 hours. This can affect satellites in orbit, leading to a lack of GPS navigation and mobile phone signal. According to the scientists, there will be a coronal hole in the sun, which will release a lot of energy from the sun. This energy will also have cosmic rays, which can cause Tech blackout on Earth. This means that it will be offsetting satellite based services such as mobile signal, cable network, GPS navigation etc. According to the report of the International Business Times, American Space Agency NASA has also confirmed the reach of Solar Storm on Earth. NASA has also released a photo in which the storm of gas can be understood. It is being said that a big hole will be formed by cutting the roughly half of the earth’s solar disc, due to which A storm of extremely hot air will come towards the Earth. However, the National Ocean and Atmosphere Association says that this is the Solar Storm G-1 category. This means that the storm will be light, but it can cause a lot of damage. Solar storms arise from transient changes on the surface of the Sun. They are divided into five categories G-1, G-2, G-3, G-4 and G-5. In these, the G-5 grade storm can be the most dangerous. Experts say that the G-1 category has the highest impact on the power grid. Migratory birds also have serious effects. The widespread impact of this storm is expected to be more in the US and UK. ← Arunachal: CoSAAP implementation of revised allowances as 7th CPC.